If you are looking for information on reliable and dependable compact handguns that you can use for concealed carry and self-protection while not breaking your bank, then you’ve come to the right place. Many people believe that they need to spend a lot of money on a CCW pistol or revolver because they believe that all of the lower priced guns are poor quality. While it is true that there are many cheap handguns that are also, well, cheaply made, it’s also true that there are many cheap handguns that offer you incredible value for the price and can be depended upon to save your life. The Bersa Thunder 380 is essentially a clone of the popular Walther PPK, not only in terms of its look but also in terms of its design. Like the PPK, the Thunder 380 utilizes a blowback action and a slide mounted safety and decocking lever. The gun ships with 7 round magazines, but 8 round magazines from both Bersa and Mec-Gar are also available. The Bersa Thunder has gained a reputation for being one of the most reliable and accurate .380 pistols on the market. Its all steel construction makes the gun heavier than its competitors, but the tradeoff is it greatly reduces muzzle flip and makes it infinitely more shootable. A double stacked model with a 15 round magazine called the Bersa Thunder 380 Plus is also available for around the same price point of $250. 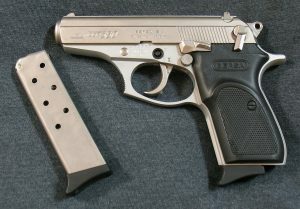 NOTE: the Bersa Thunder has a magazine disconnect safety feature, which means that the trigger cannot be pulled if a magazine is not inserted. 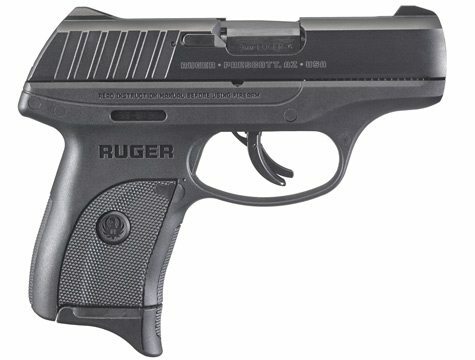 The Ruger EC9S in 9mm is a budget version of Ruger’s popular LC9s pistol. Single stack 9mms are among the most popular category of CCW pistols on the market because they are small enough to conceal easily while simultaneously offering more power than a .380 ACP or .38 Special. The EC9S is cut down on price from the LC9S due to the fact that the sights are machined into the slide and that the pistol ships with only one magazine. The EC9S is listed with an MSRP of $299 but is selling for much lower than that. With a width of .90 inches and a weight of just over seventeen ounces, it is more than well suited for concealed carry purposes. 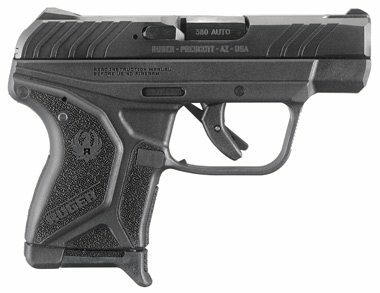 An even smaller offering than the EC9S from Ruger is the LCP II in .380 ACP, a development of their enormously popular LCP pistol. While the LCP was extremely easy to conceal, it suffered from a few flaws, with the most notable of their flaws being the extremely long and gritty double action trigger pull and the fact that the slide did not lock open on the last round. The LCP rectifies these problems with a slide lock feature and a much smoother and lighter single action trigger, while also having much improved ergonomics over the original LCP as well. All in all, the LCP II is today perhaps the best .380 pocket pistol on the market, as each of its competitors have long and undesirable trigger pulls similar to the original LCP. The classic 2-inch snubnose revolver in .38 Special has long been one of the most popular concealed carry weapons in the marketplace and shows no signs of slowing down even today in the 21st Century. There are many reasons why many peoples still continue to prefer the venerable 5 shot snubnose today, with the biggest reason being that they are just more simple (and have better perceived reliability) than semi-autos. Sure, they only hold five shots, but those are five for sure shots. The Taurus M85 is the best budget snubnose for less than $300 available today. Sold in both a matte blued and matte stainless steel finish, some M85’s have the option of a removable hammer spur, which means that you can choose between having a protruding hammer or not having one to reduce the chances of it snagging when drawing from your pocket. NOTE: as with all Taurus firearms, the M85 comes installed with a key lock feature where the gun can be rendered useless if the shipped key is inserted and turned. Some people who have small children in the house desire to have this feature when storing the pistol somewhere in the house. 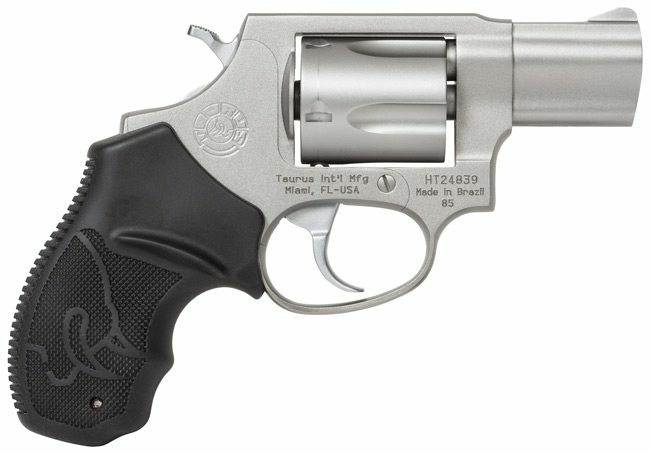 Another excellent budget concealed carry option from Taurus is the PT111 G2. This is a compact double stacked pistol that holds 12 rounds of 9mm ammunition (the PT140 holds 10 rounds of .40 S&W), and is available with either a blued or stainless steel slide. Granted, the higher capacity means that the PT111 is larger over the other guns on this list, but it isn’t that much larger and is still very easy to conceal in the waistband. 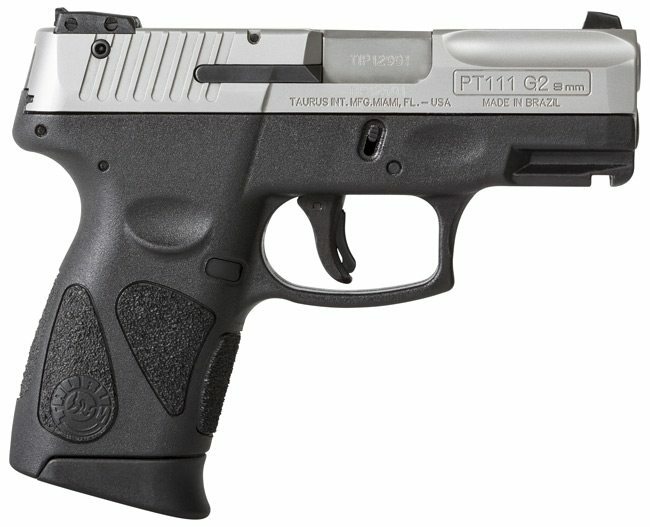 Features the PT111 G2 comes with include a manual frame mounted safety, adjustable rear sights, a Glock-style blade safety in front of the trigger that must be depressed in order for the trigger to be pulled, aggressive stippling on the grip, and a red loaded chamber indicator on the top of the slide that moves up when a round is chambered. NOTE: As with the M85 and other Taurus firearms, the PT111 G2 comes installed with the key lock safety feature. As you can see there are plenty of reliable concealed carry options for less than $300, ranging from .380 pocket pistols to .38 snub nose revolvers to 9mm autos. There are many more excellent options out there for you to explore as well, so don’t end your research here.